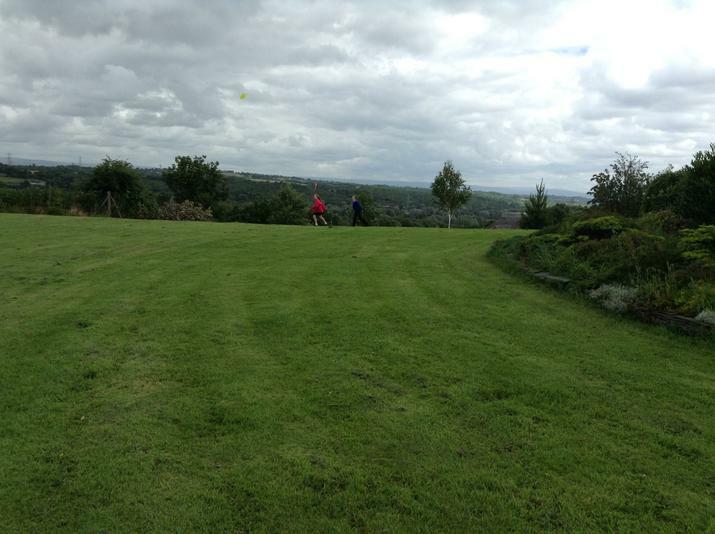 On the 8th. 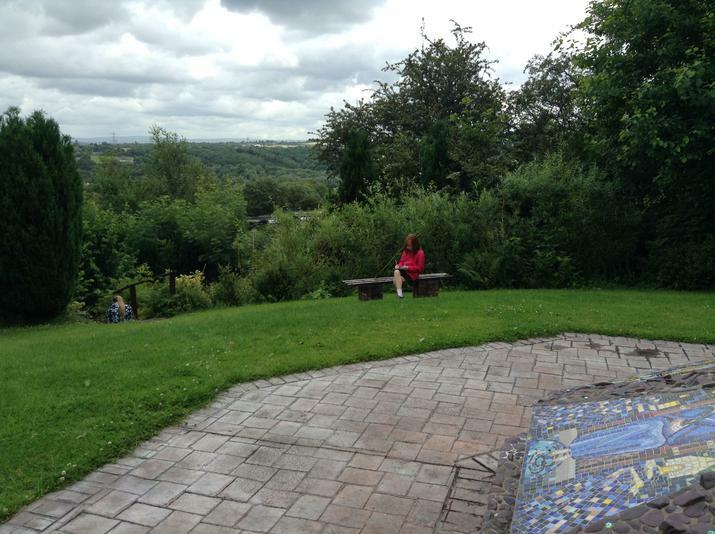 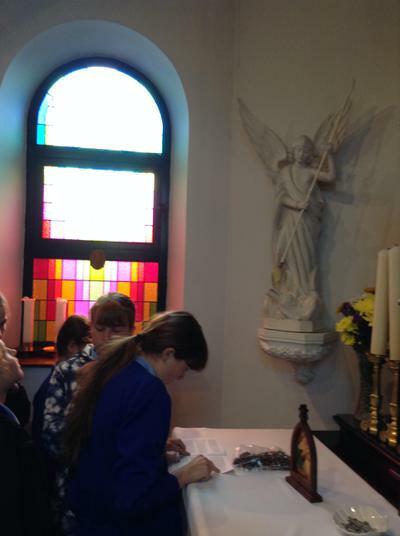 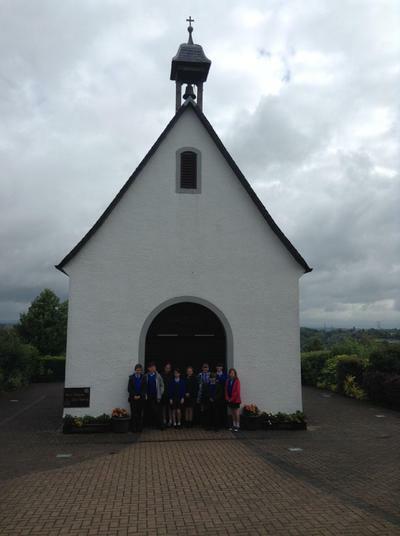 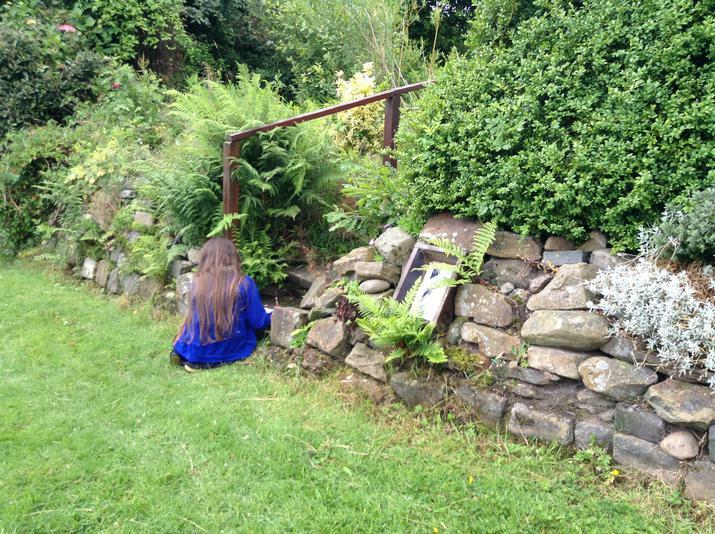 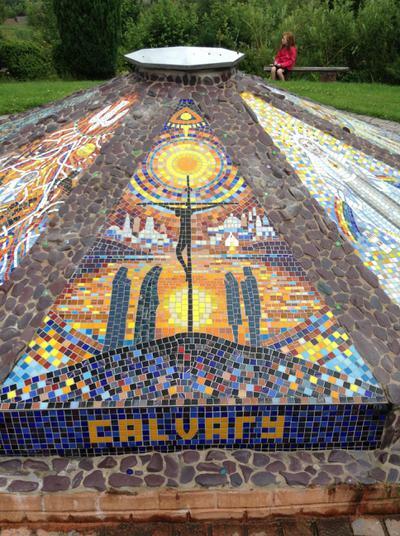 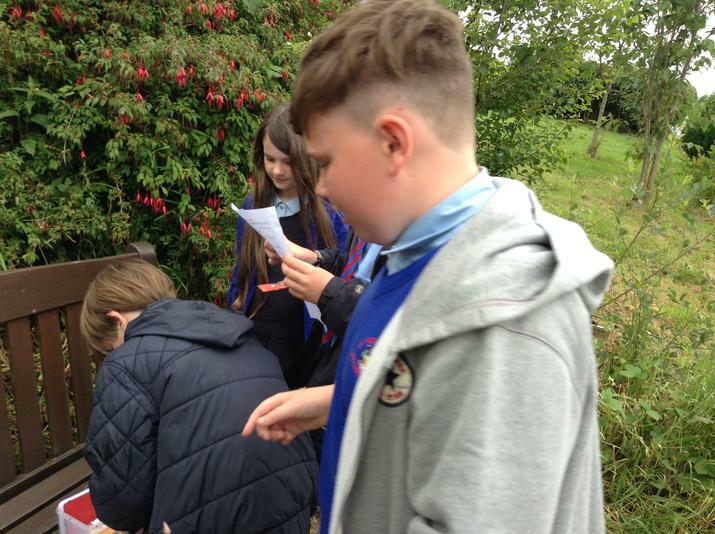 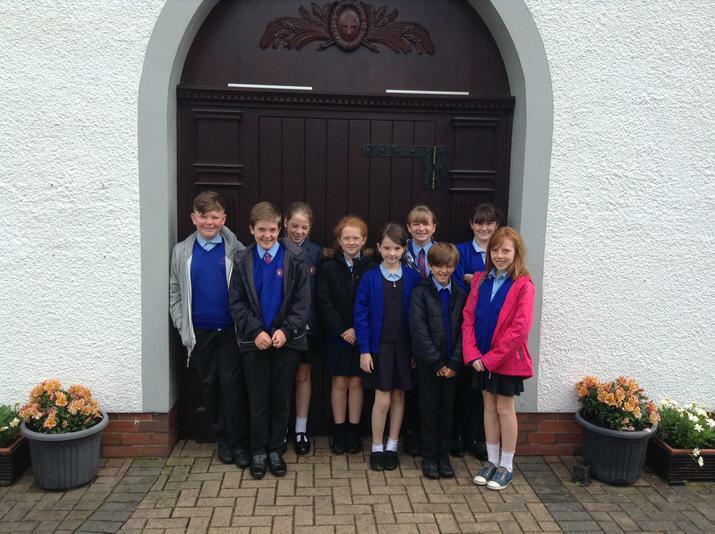 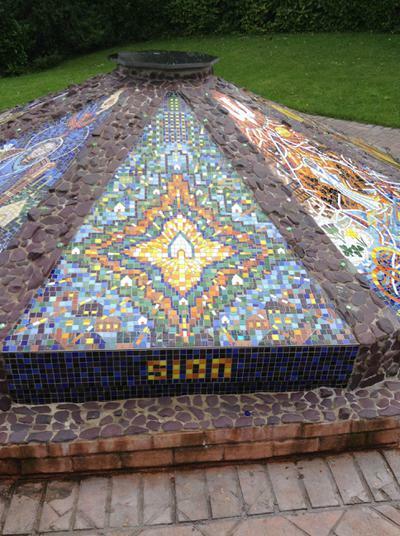 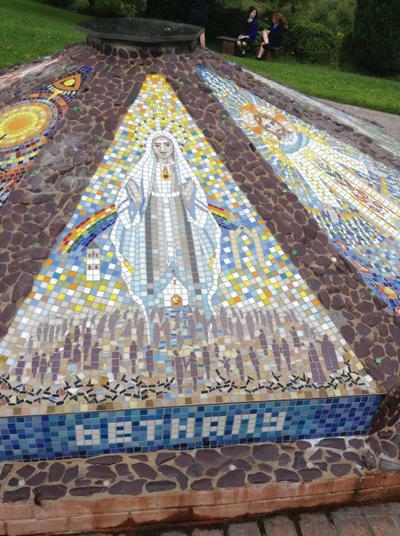 July 2016 the pupil chaplains spent a day at the Schoenstatt Shrine in Kearsley. 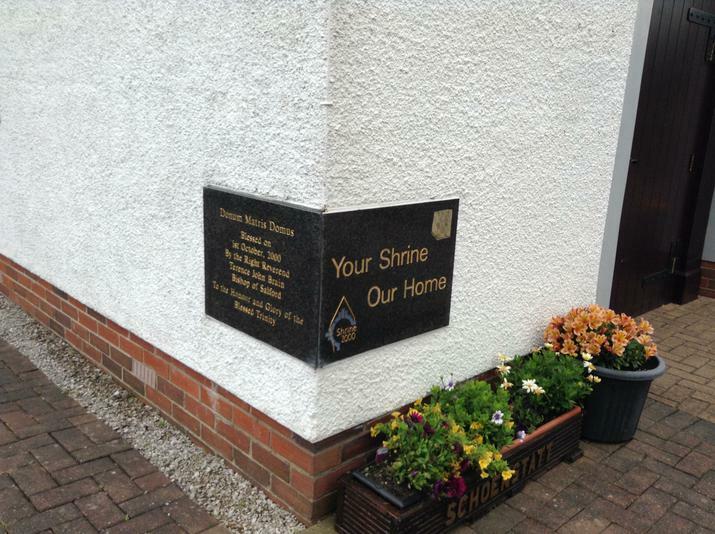 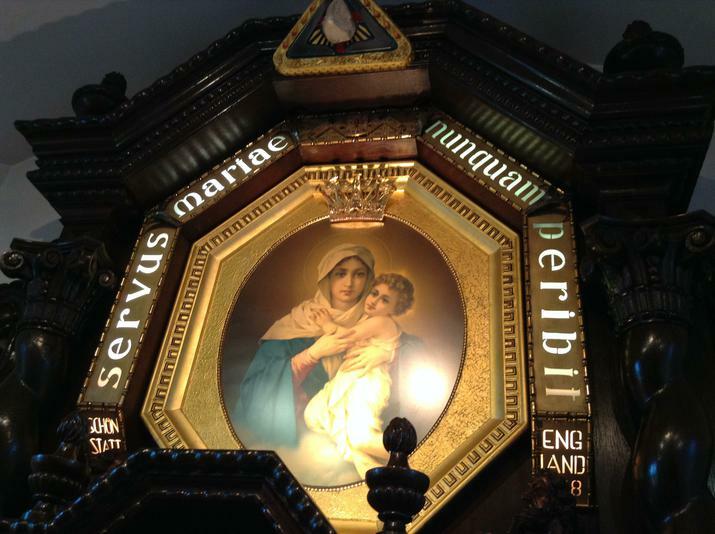 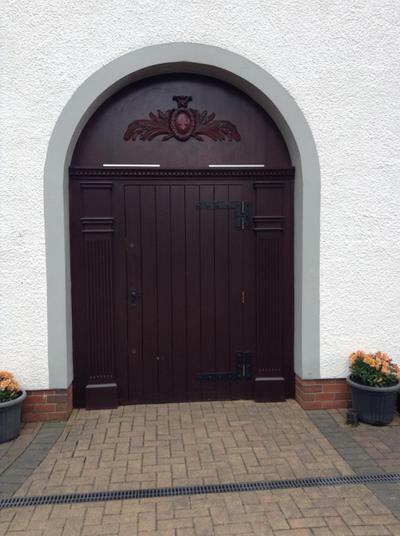 The shrine's door has been designated by Salford Diocese as a Holy Door during this Year of Mercy. 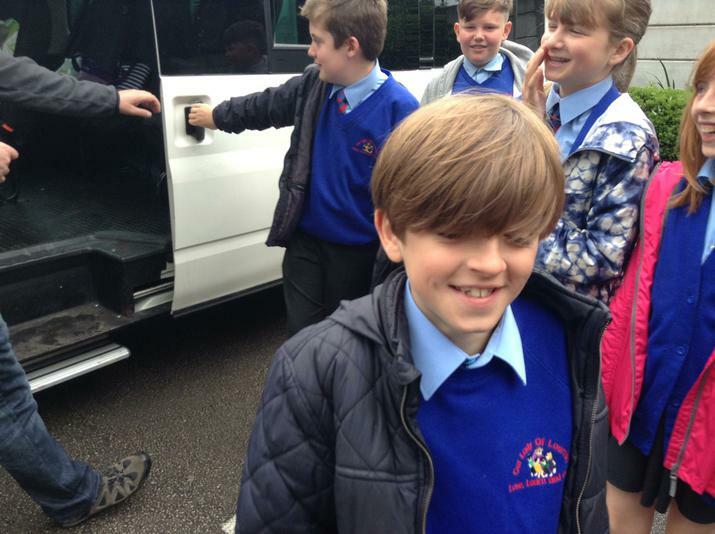 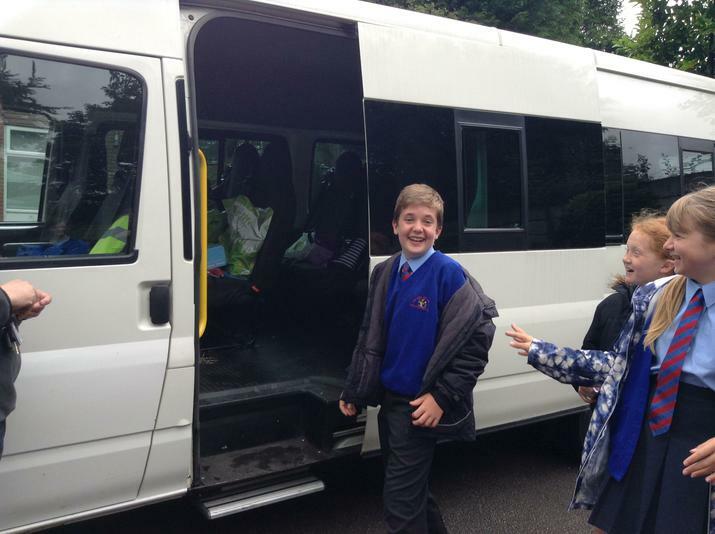 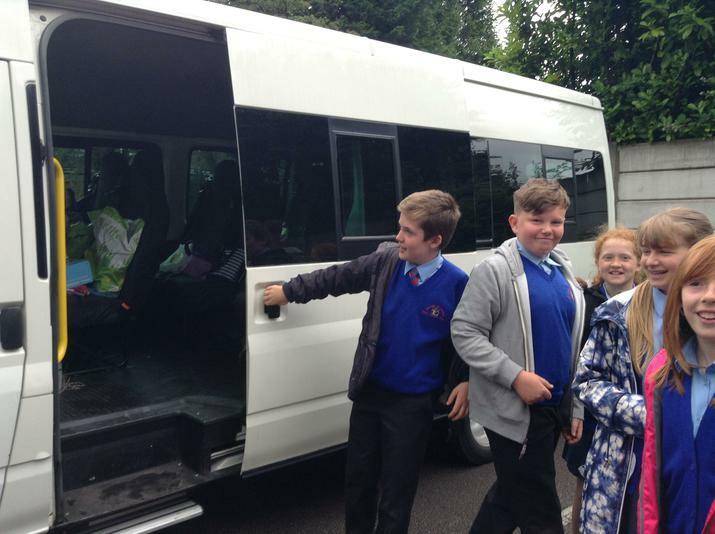 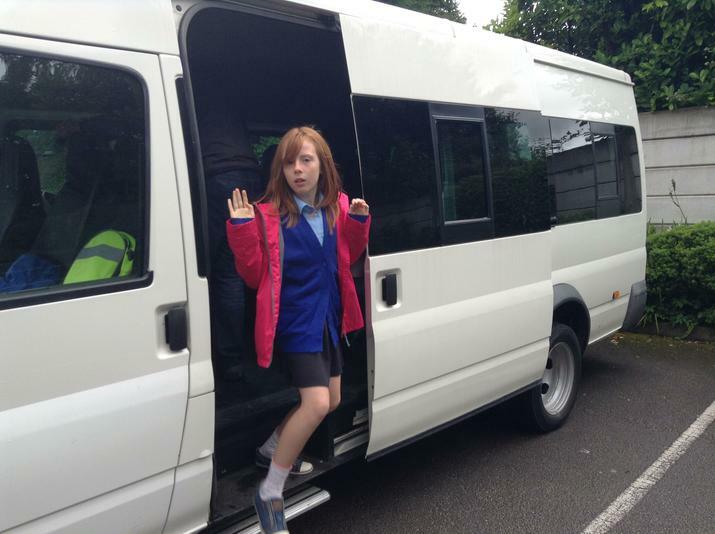 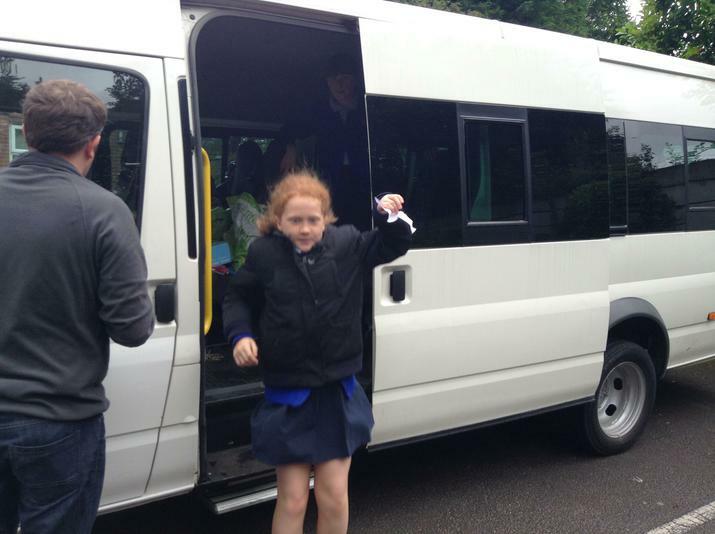 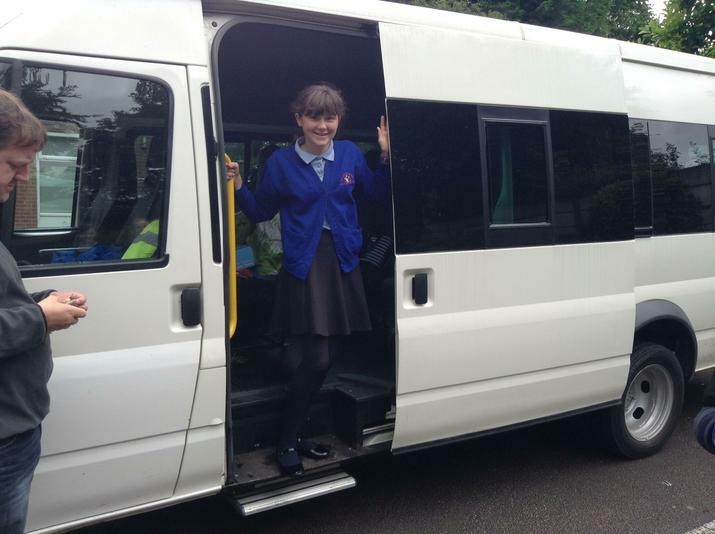 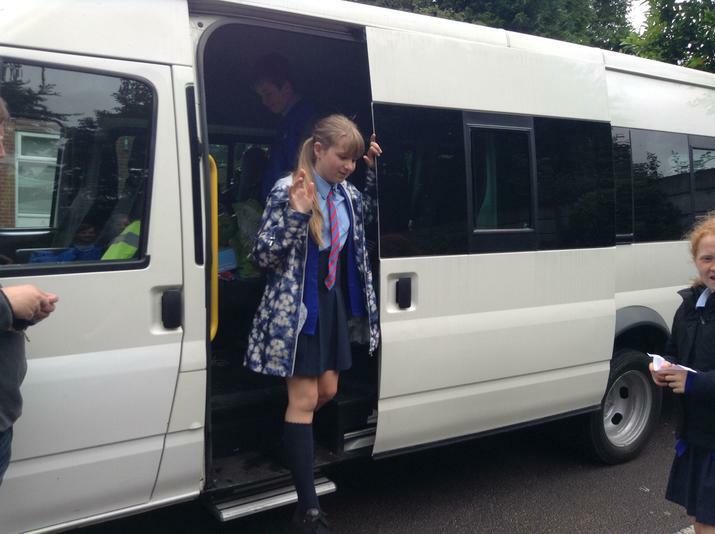 We travelled by the Parish minibus driven by Mr. Walsh our Chair of Governors. 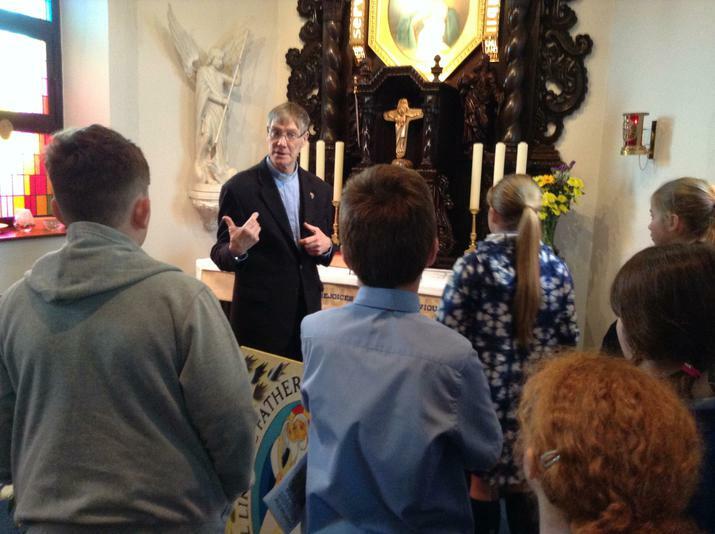 We were warmly welcomed by Father David Musgrave, to the Parish of St. John Fisher. 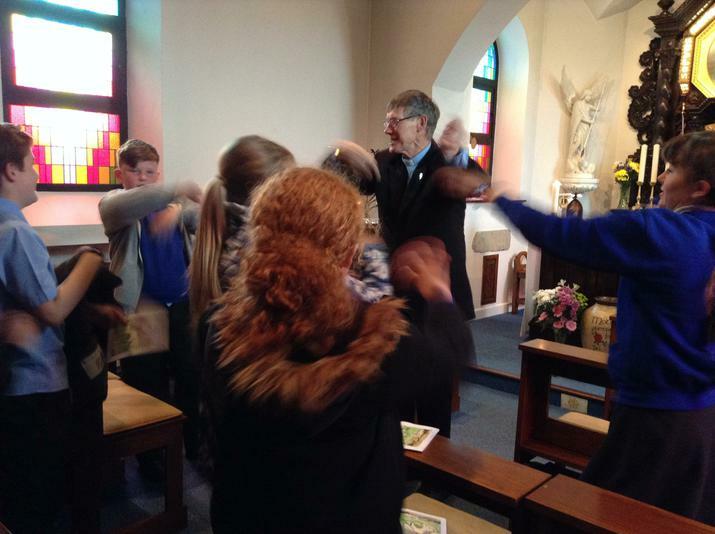 Father David celebrated a beautiful Mass with us. 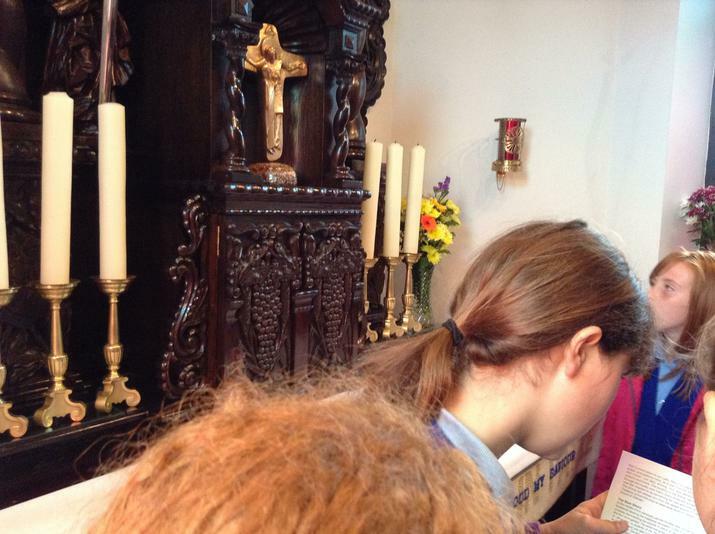 The pupil chaplains led the readings and prayers. 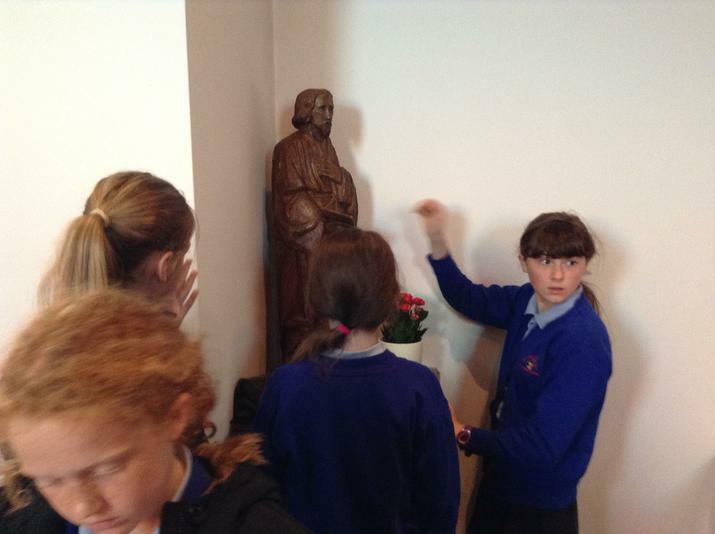 Father David explained more about the Holy Door and the Shrine. 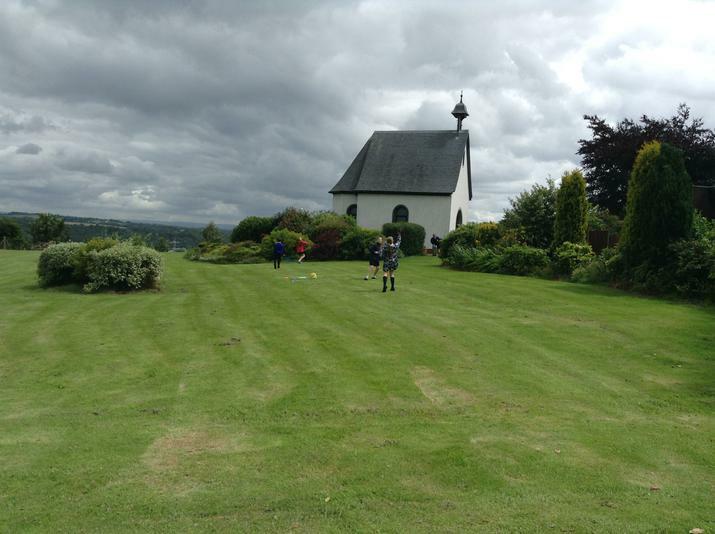 Schoenstatt means beautiful place which we all agreed it is. 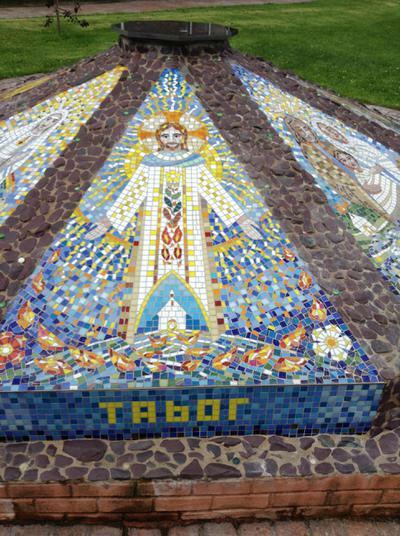 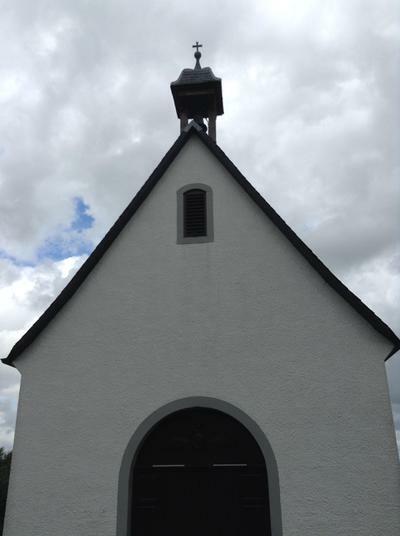 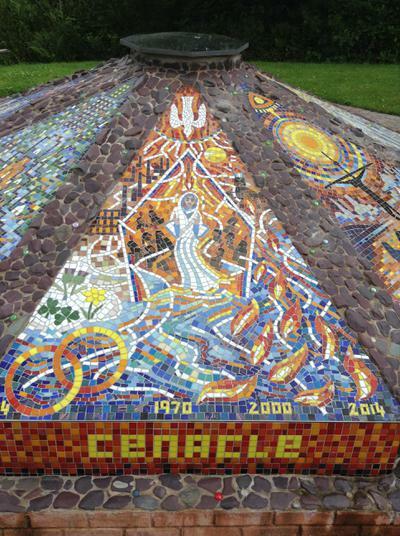 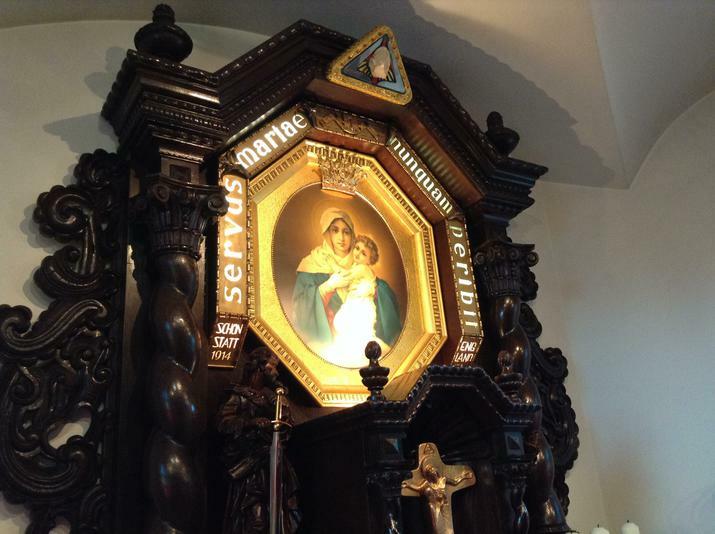 The shrine is actually a chapel and there are 200 around the world, all called Schoenstatt. 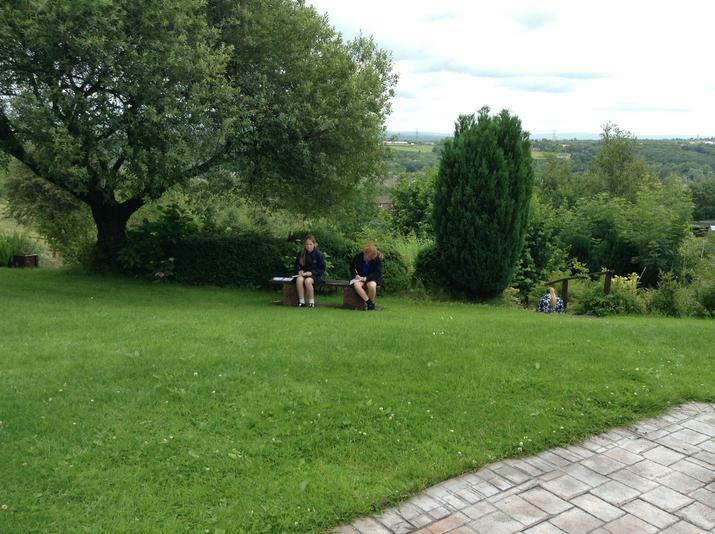 After lunch the weather improved and we were able to pray the stations of the cross and have a reflection. 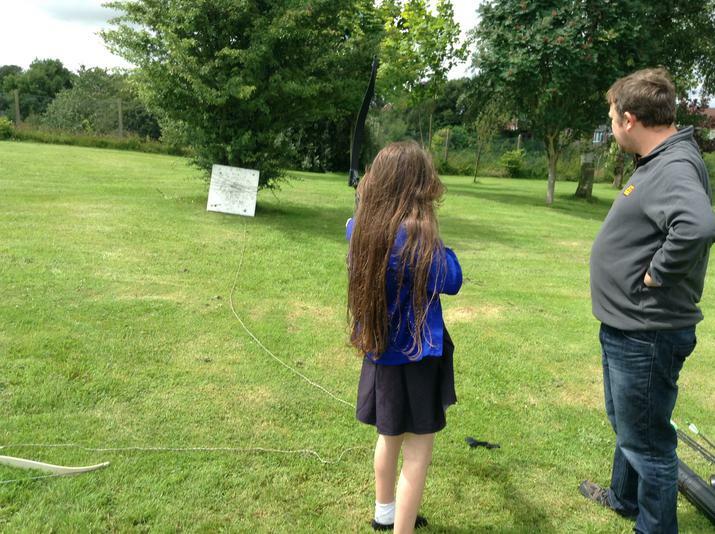 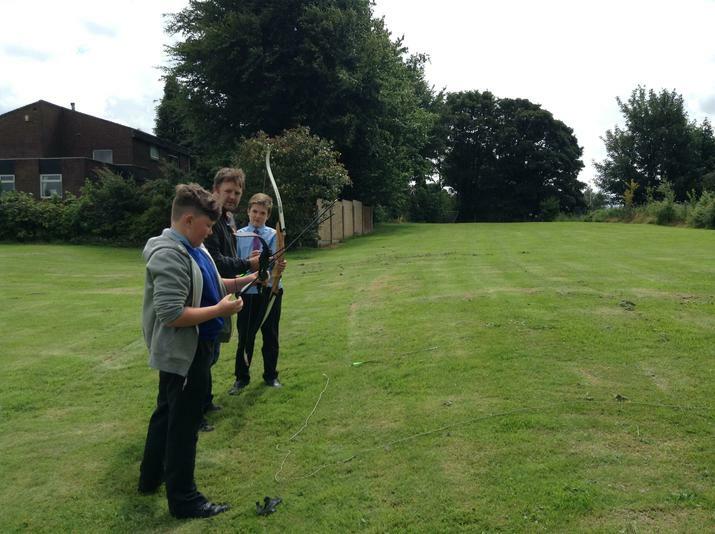 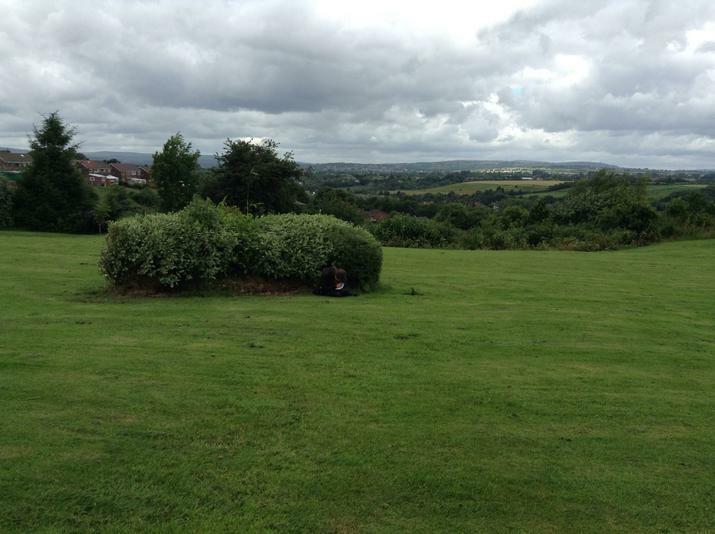 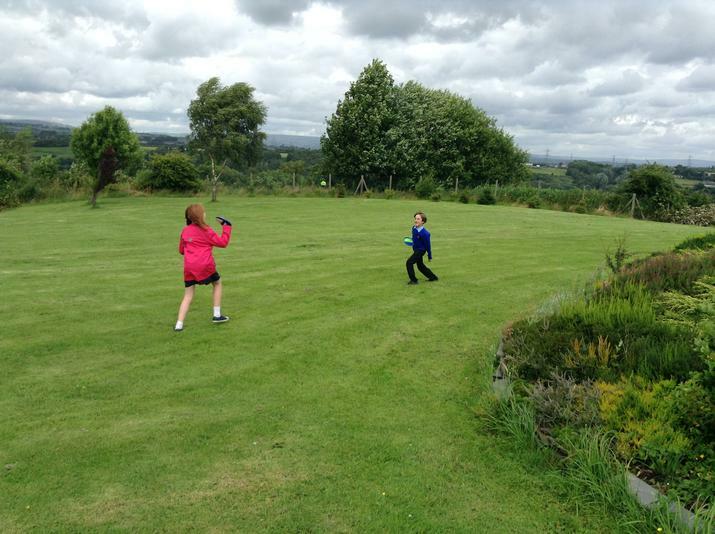 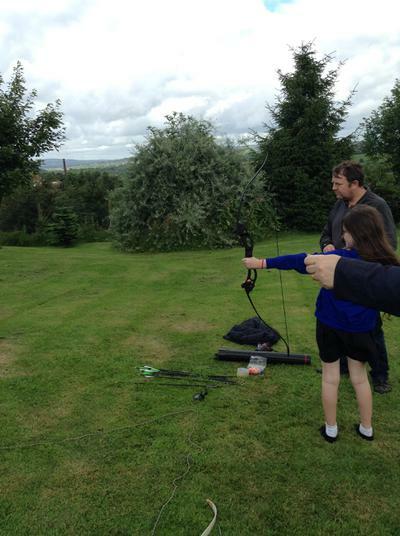 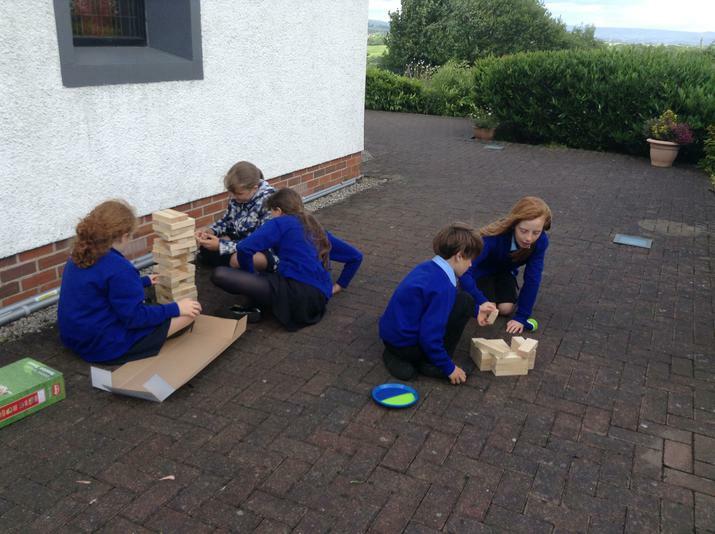 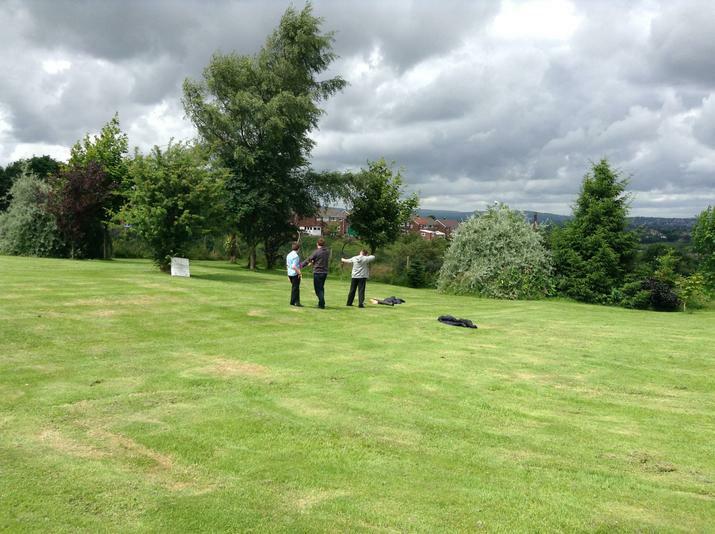 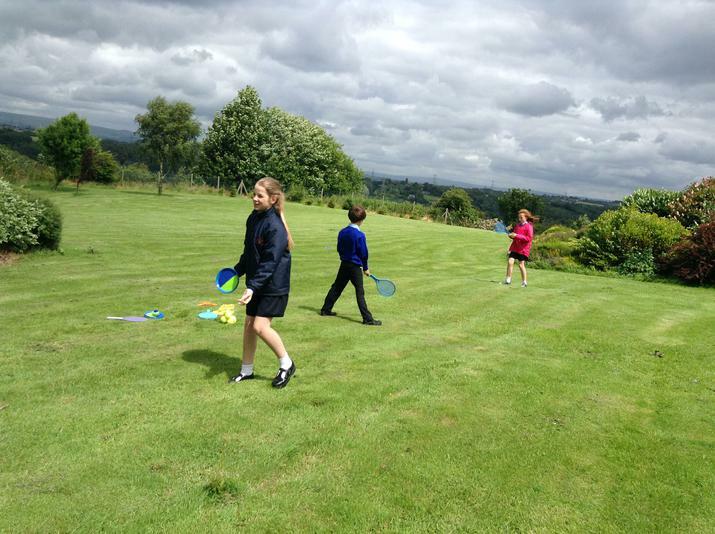 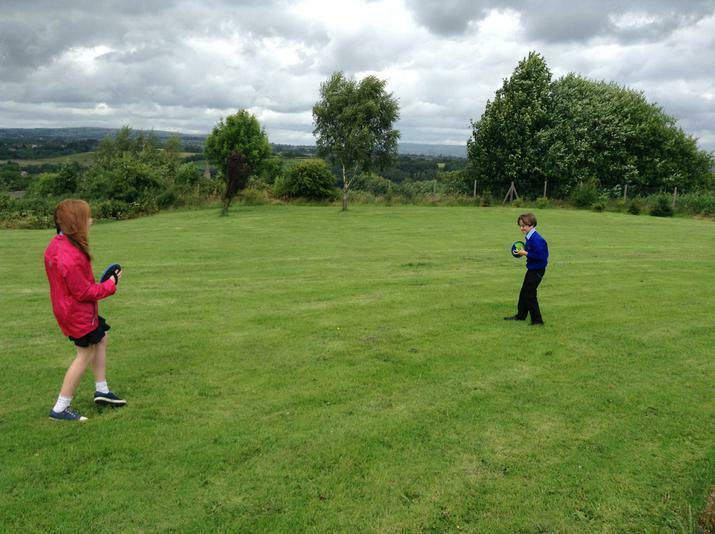 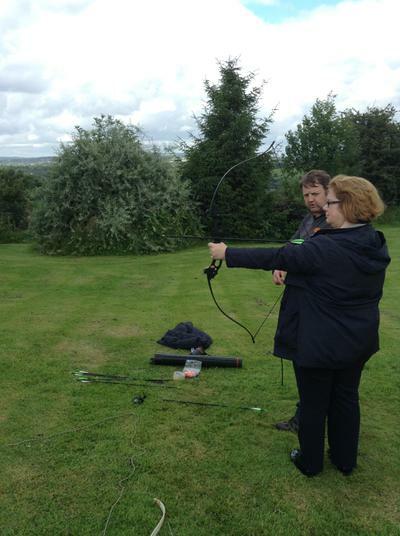 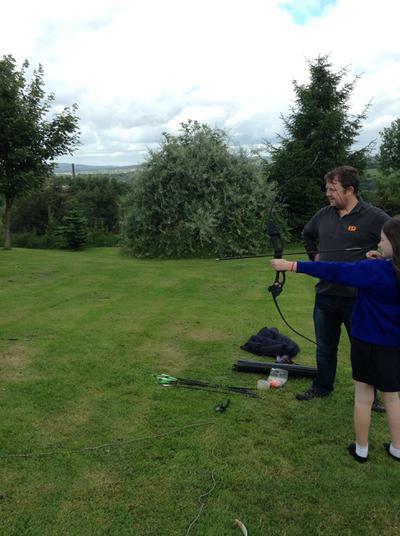 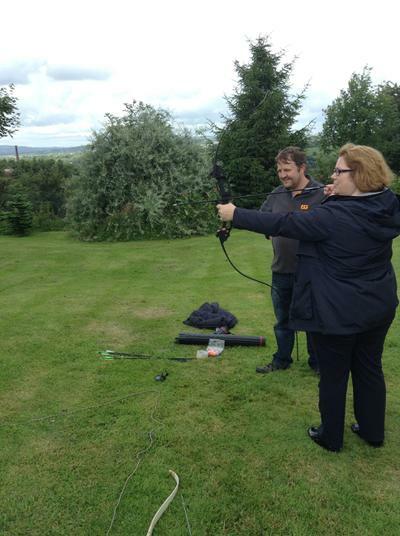 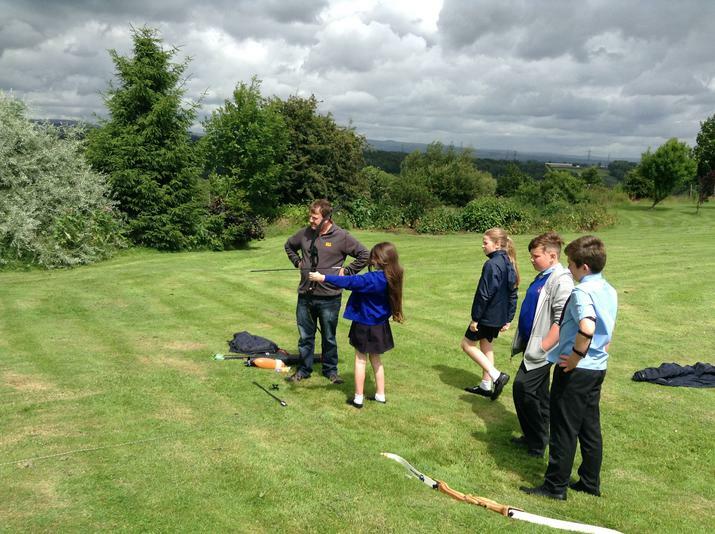 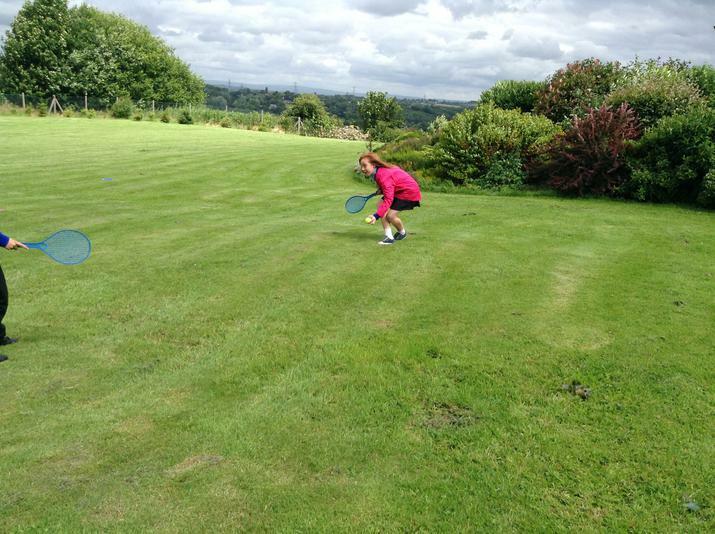 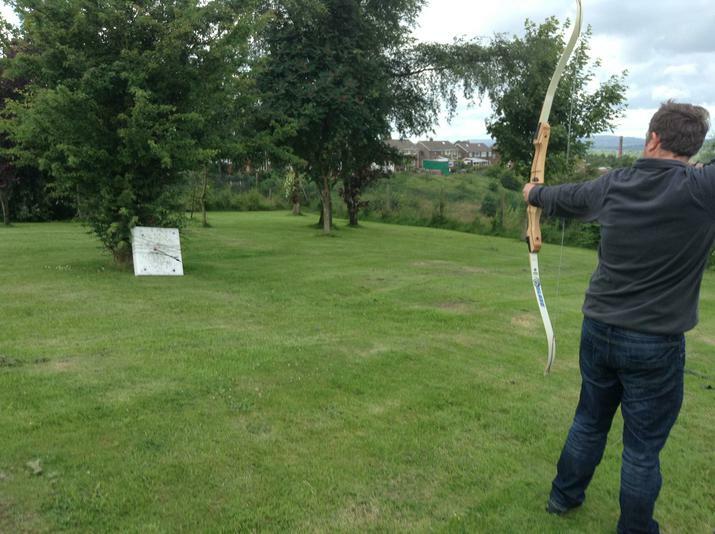 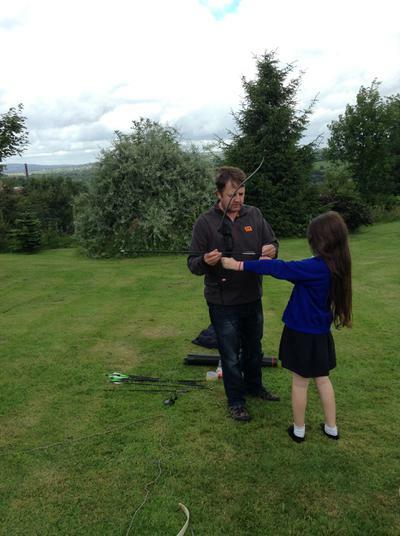 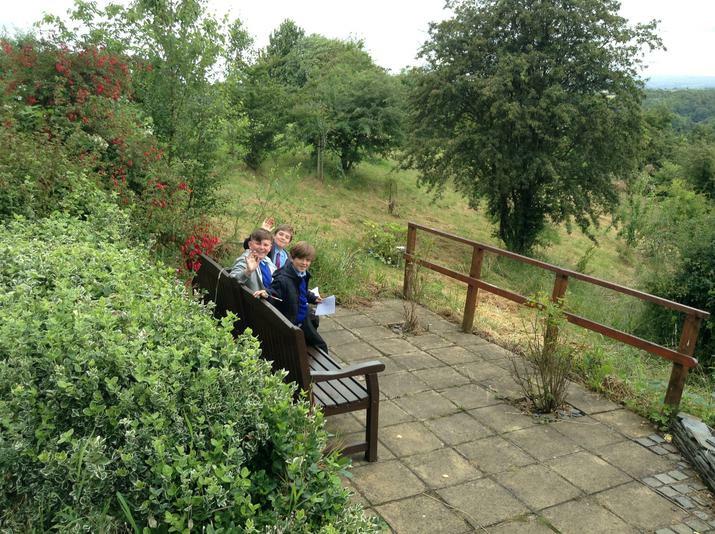 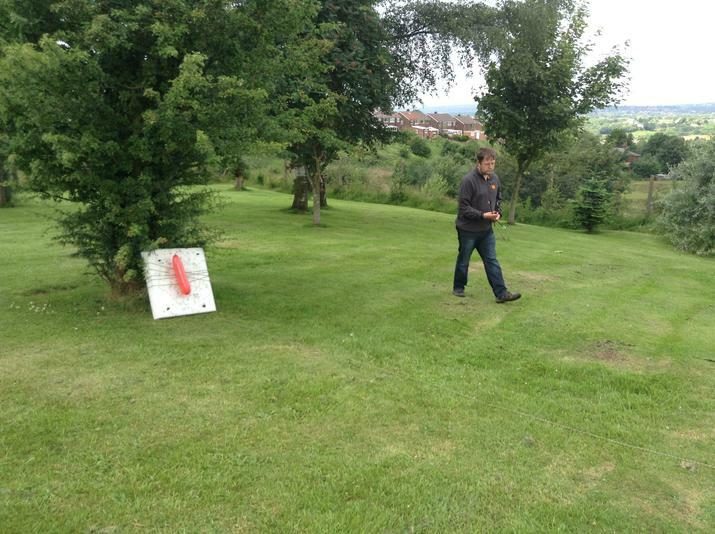 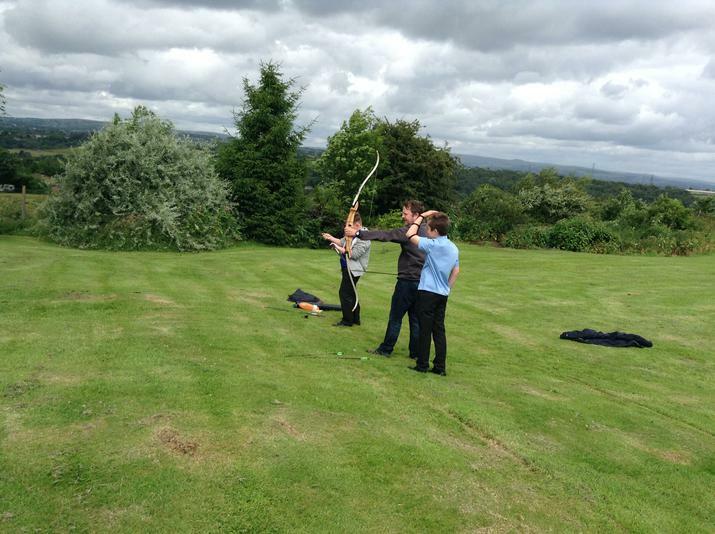 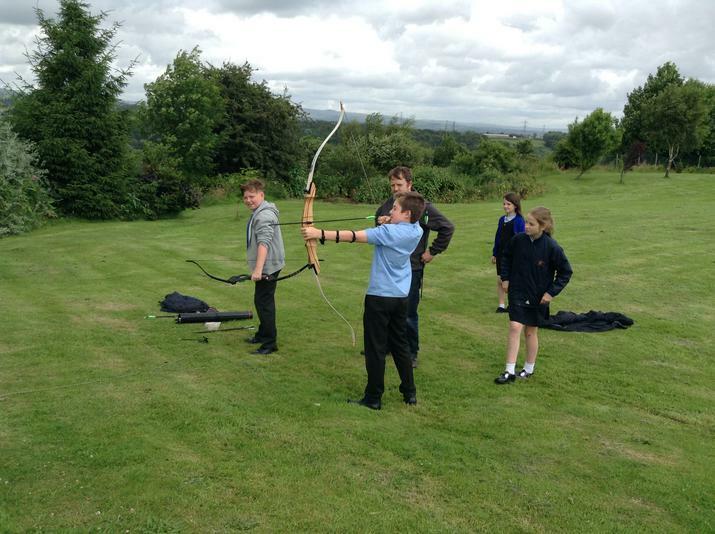 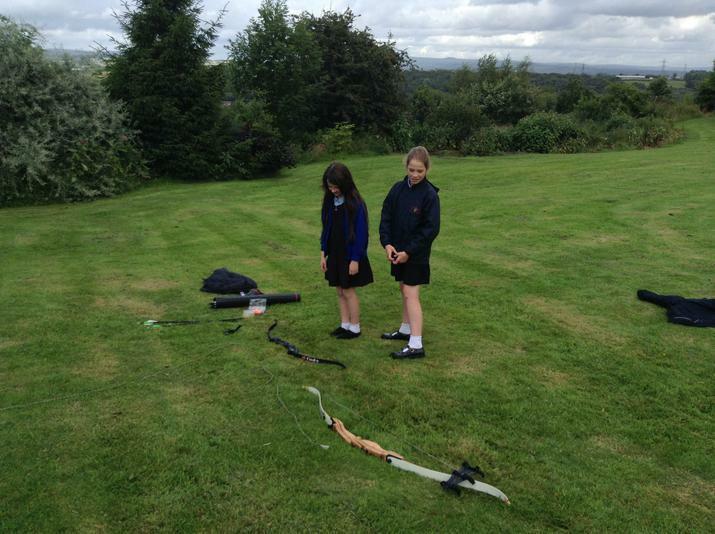 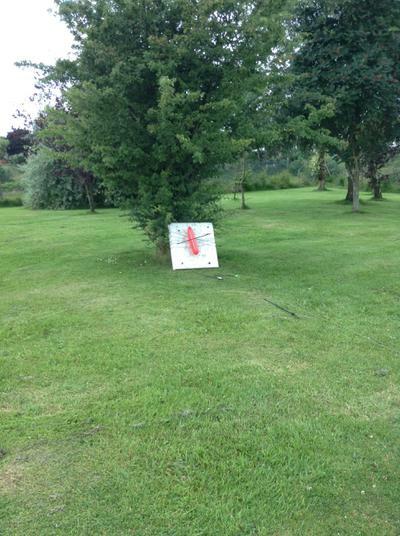 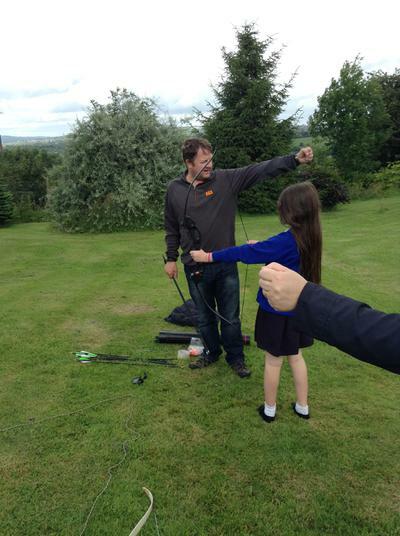 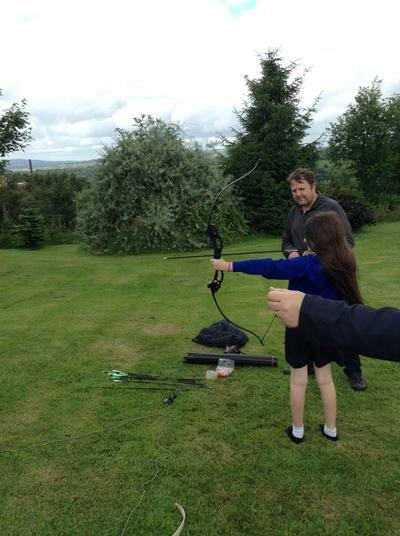 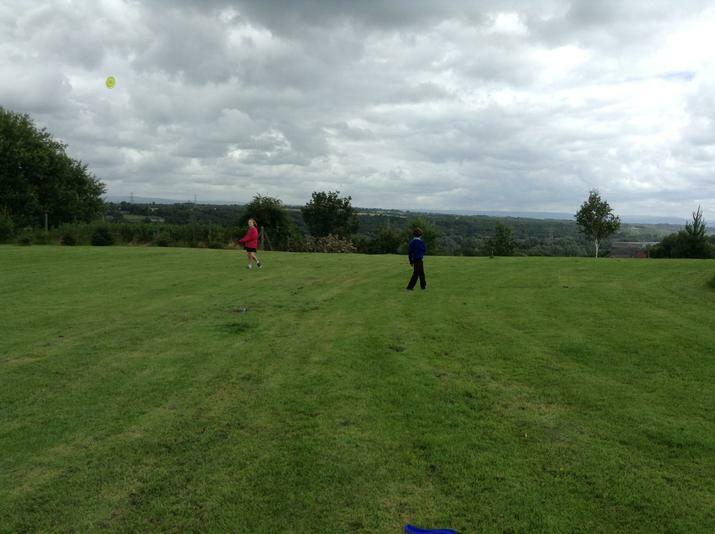 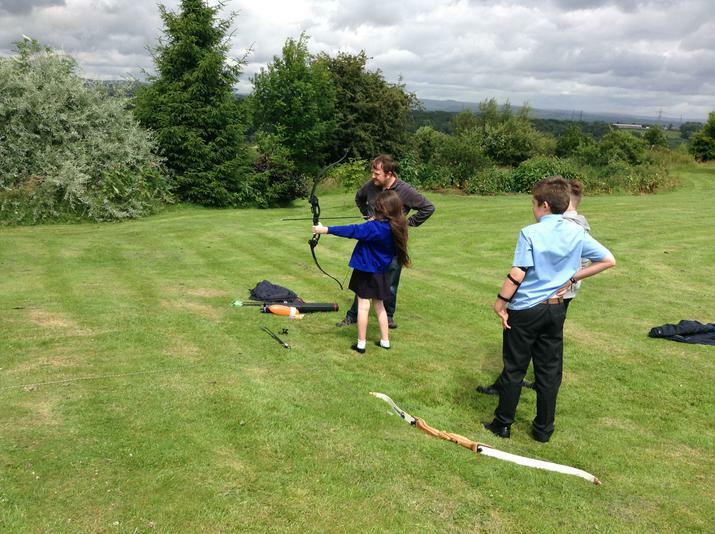 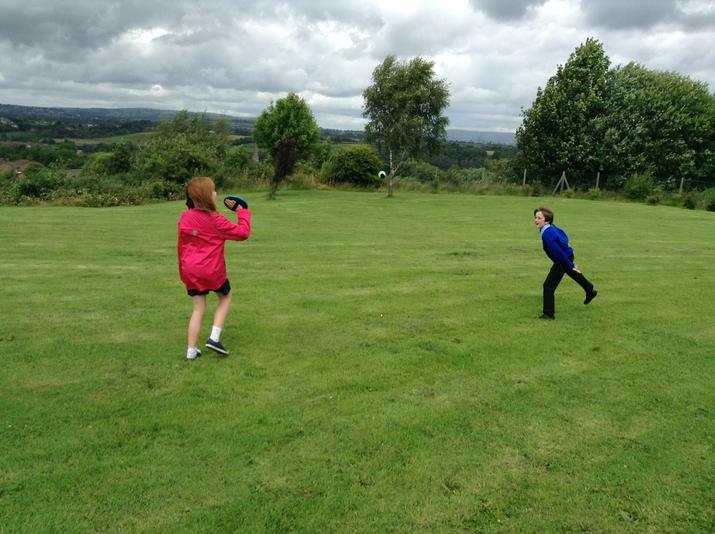 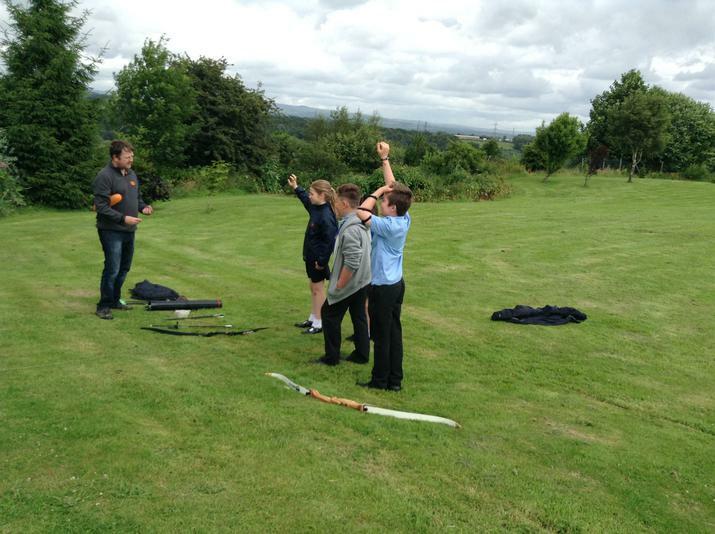 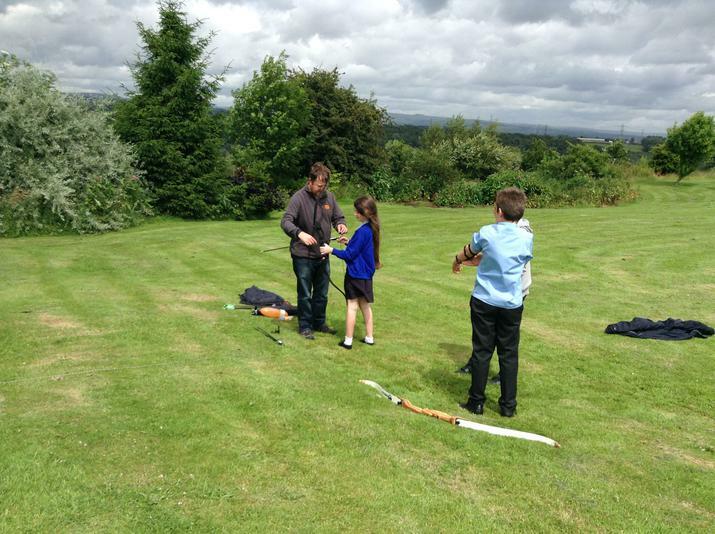 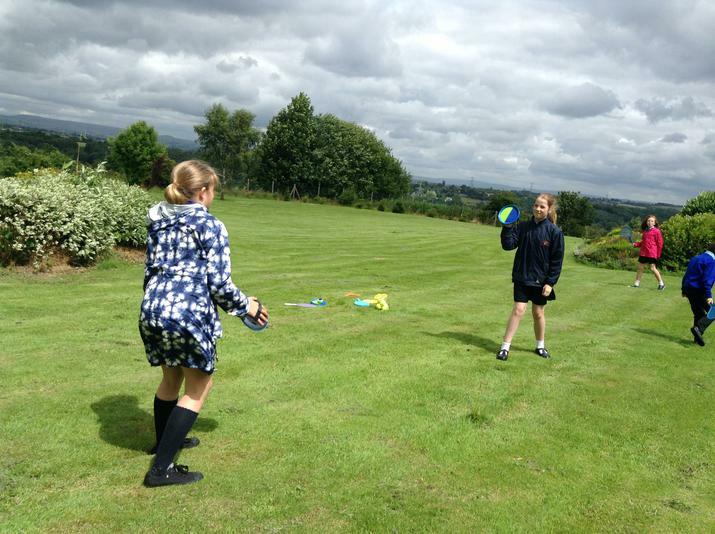 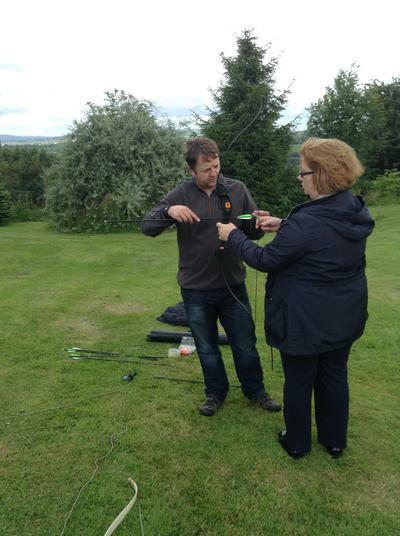 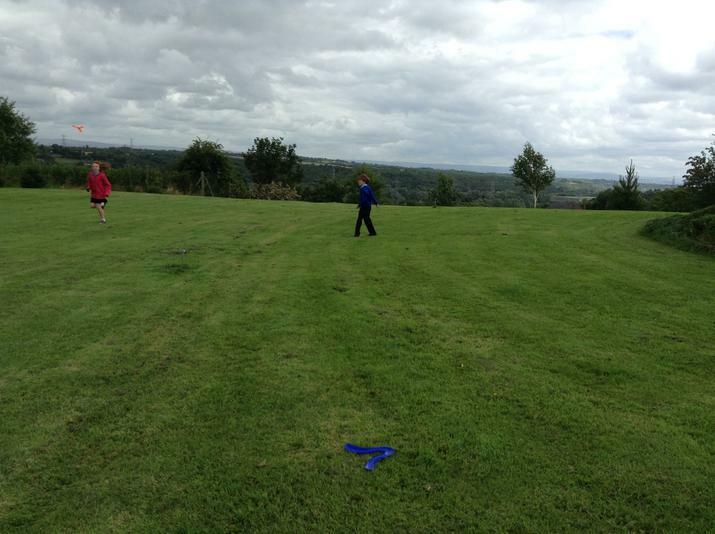 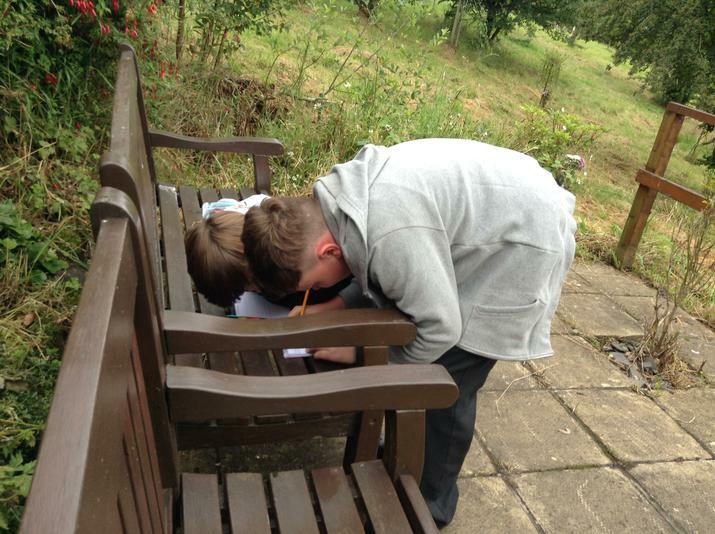 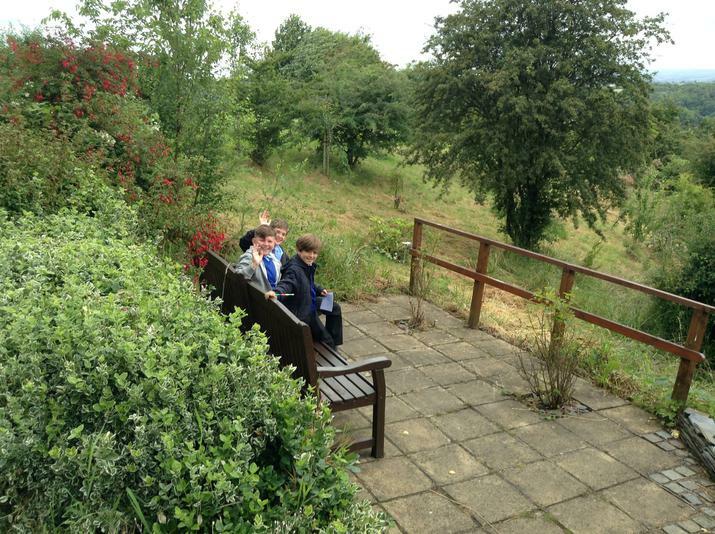 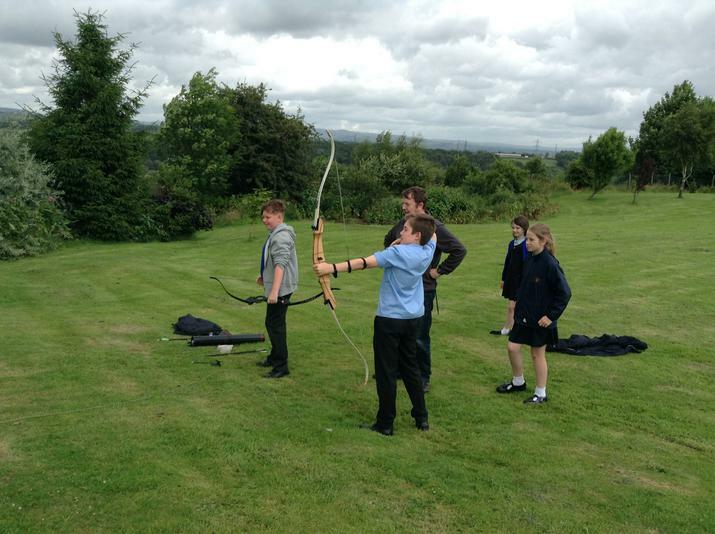 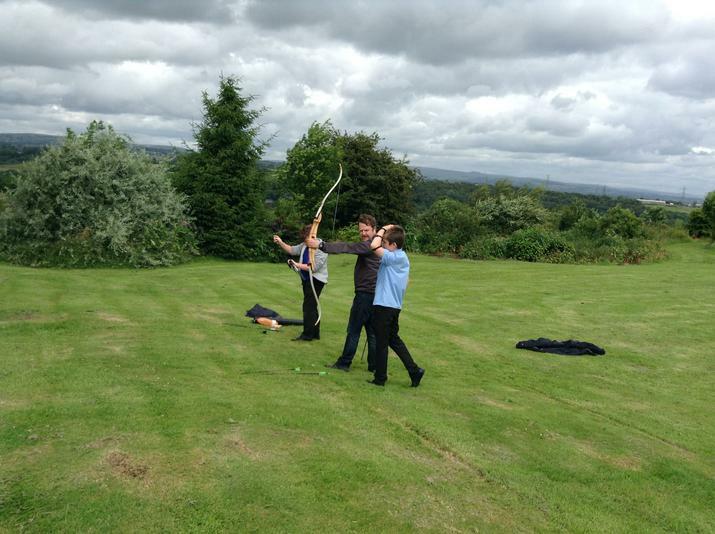 The pupil chaplains enjoyed playing in the beautiful grounds as well as having a go at archery, courtesy of Mr. Walsh. 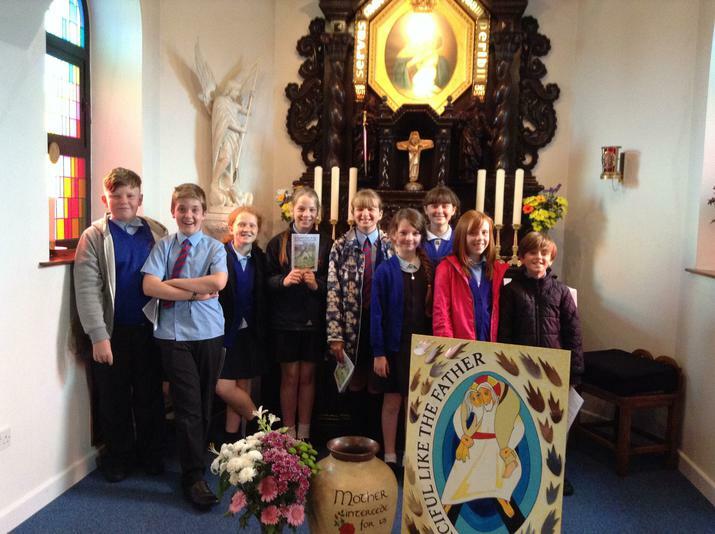 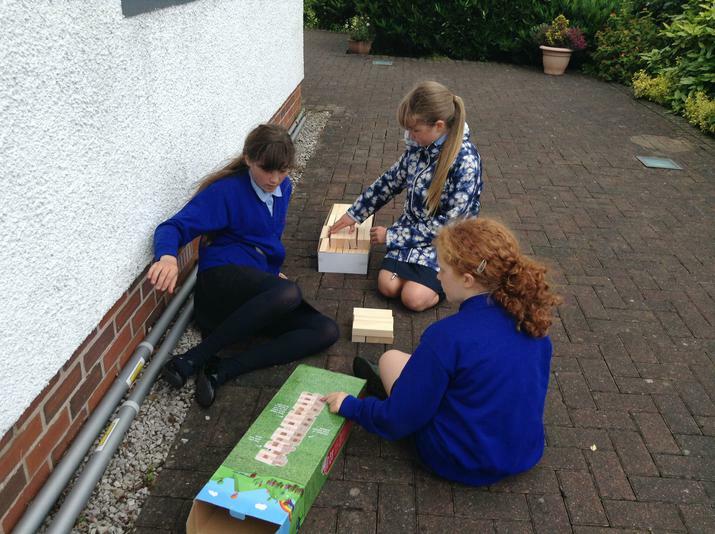 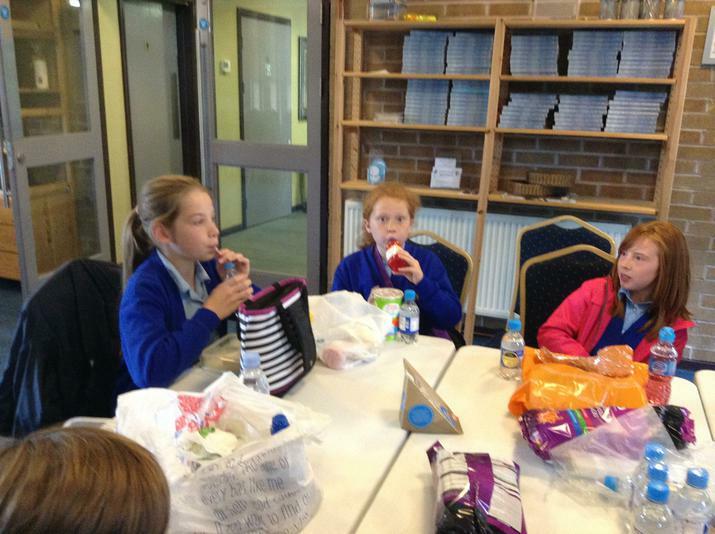 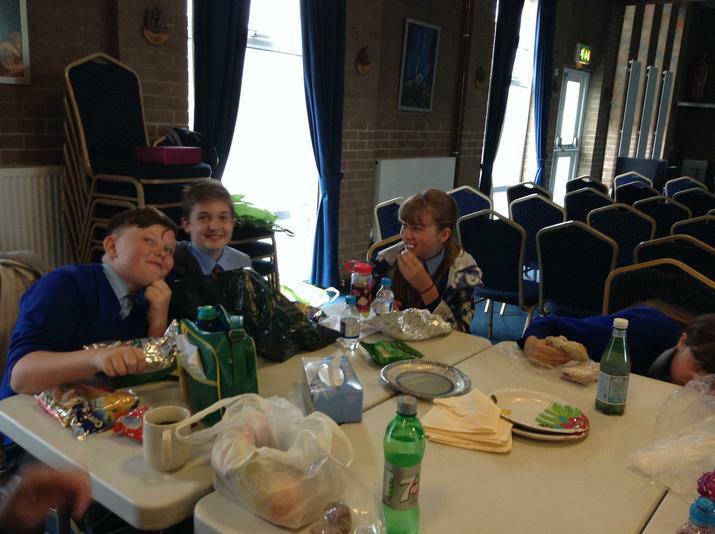 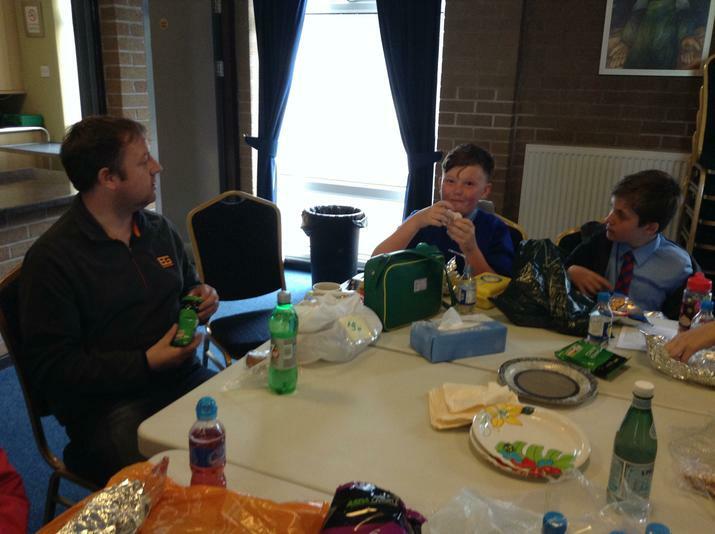 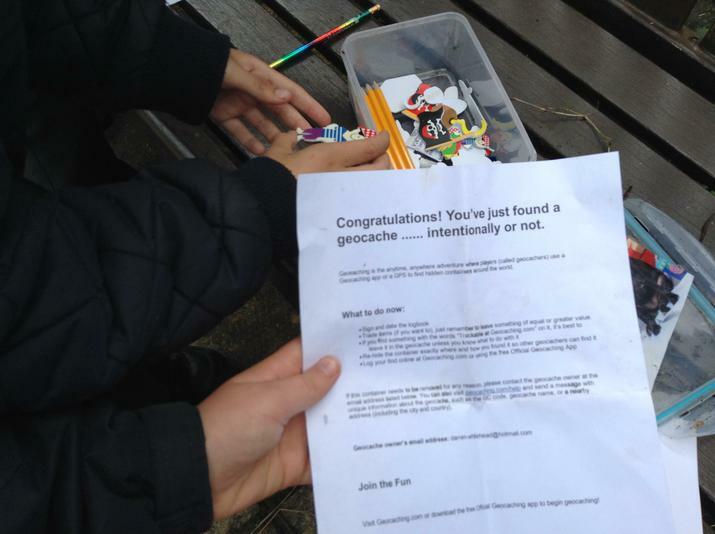 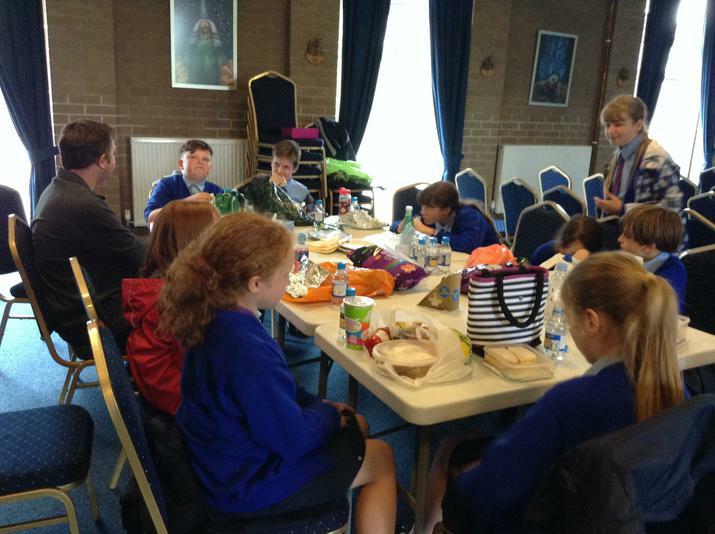 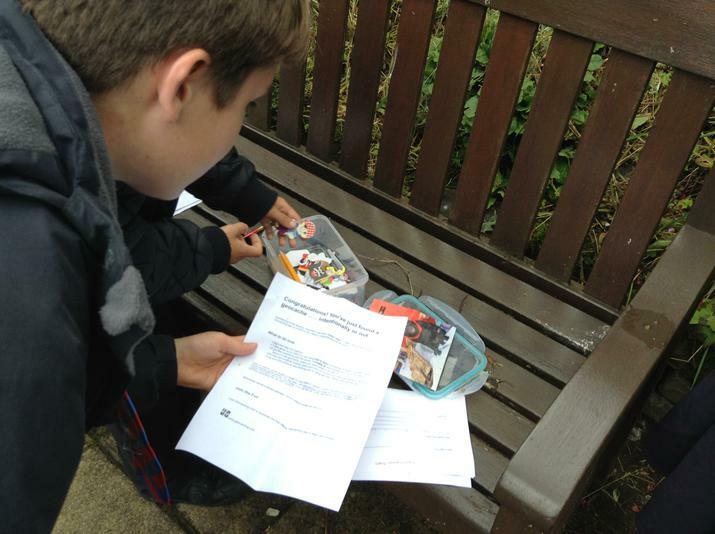 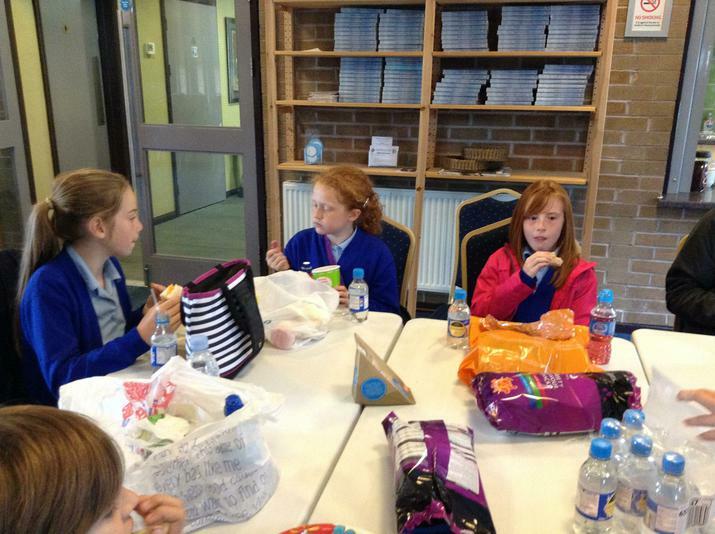 When asked about the day the pupil chaplains said it was "Amazing", " A great experience" and " A wonderful day". 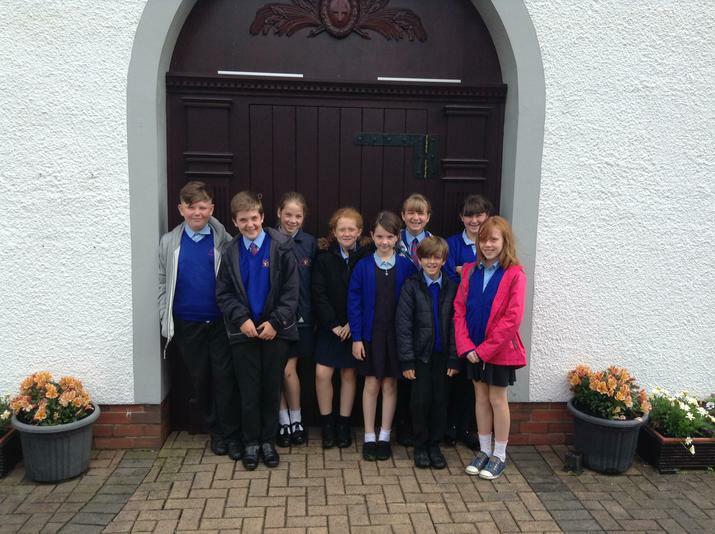 Father David gave each pupil chaplain a blessed medal which is a replica of the altar cross. 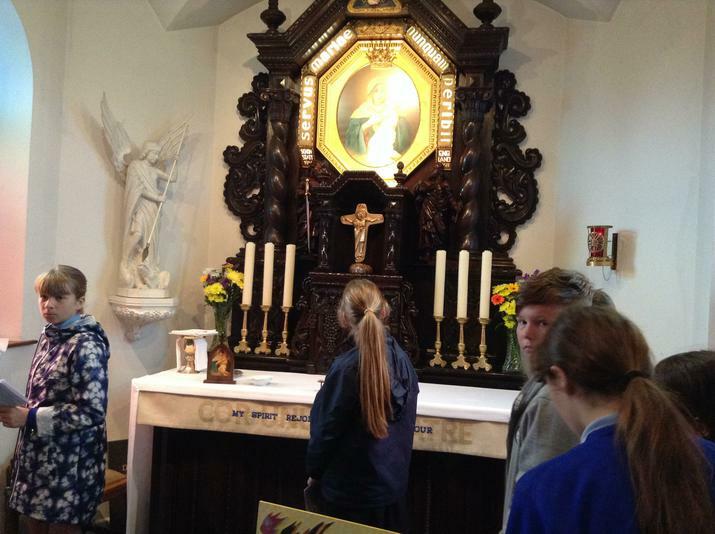 To those going to St. Gabriel's he gave a picture of Our Lady to be used when they meet at school to pray together. 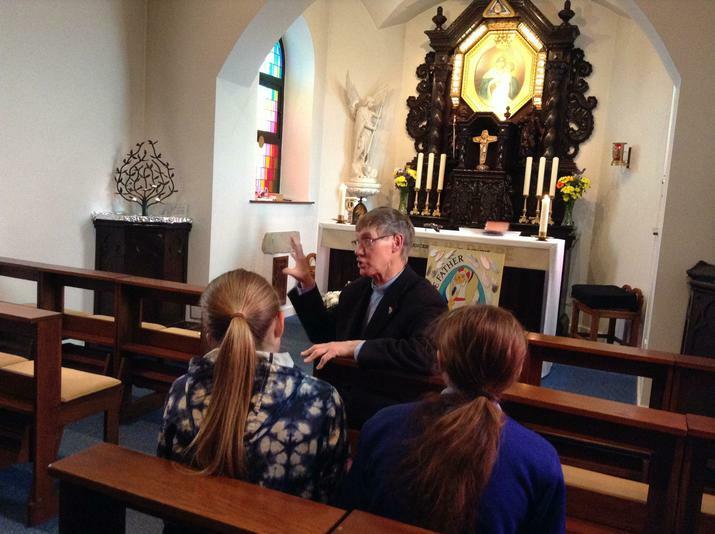 On return to school, Mr. Walsh presented everyone with a special prayer card from Schoenstatt. 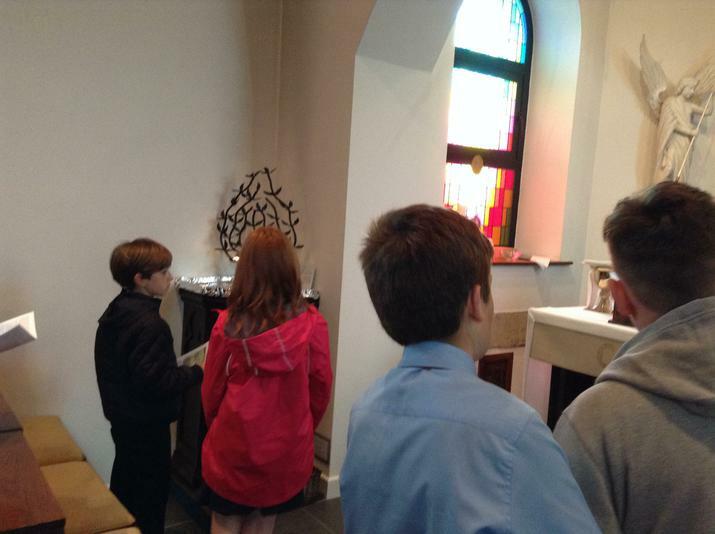 Thank you to father David and Mr.Walsh for making the day so special.